Having lived in sunny Los Angeles for college, my first New York winter after graduating has hit me hard. Did I really survive endless cold, dark winter days growing up?? I needed a winter getaway! 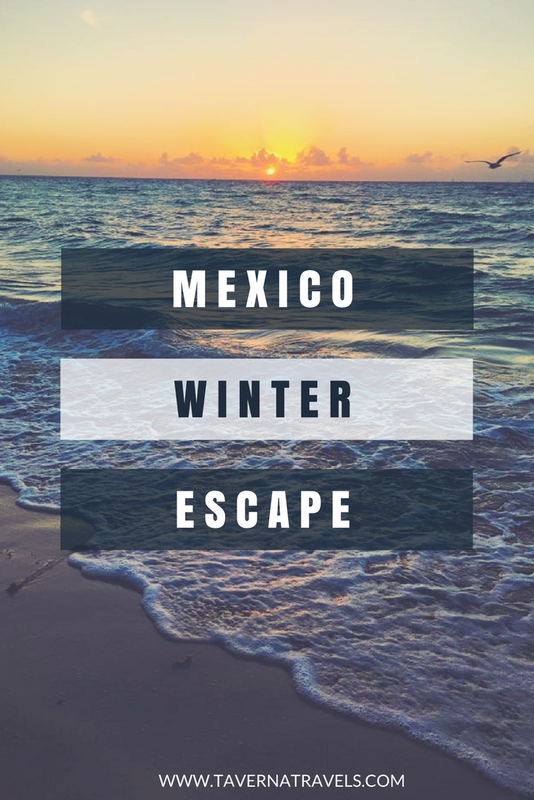 Anxious to escape the freezing temperatures, a flight to Mexico was booked! I’ll admit off the bat that Playa del Carmen, or Playa as it is commonly nicknamed, itself is far too touristy and commercialized for my liking. That being said, there are so many incredible beach spots that make the area a true gem and the perfect winter getaway. Not to mention, Playa serves up some of the best beachfront fish tacos and ceviche! 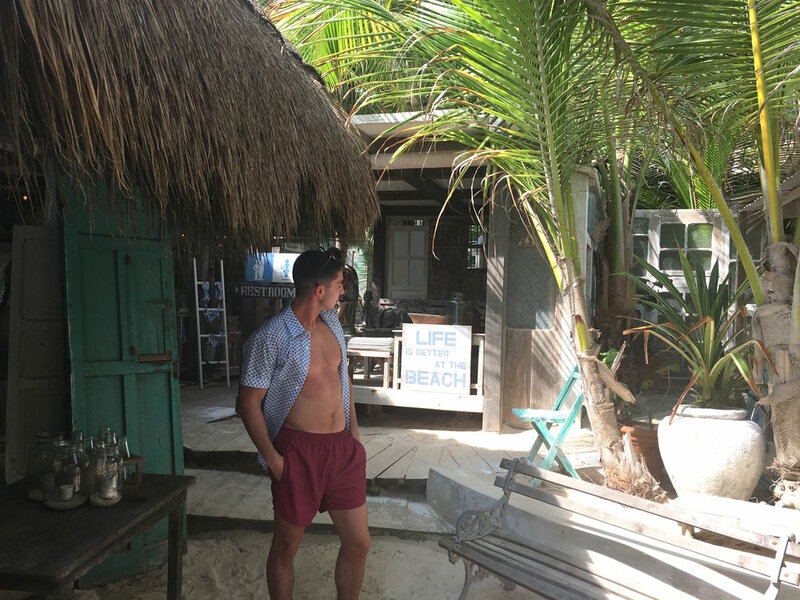 Edit: I returned to Tulum in 2018! 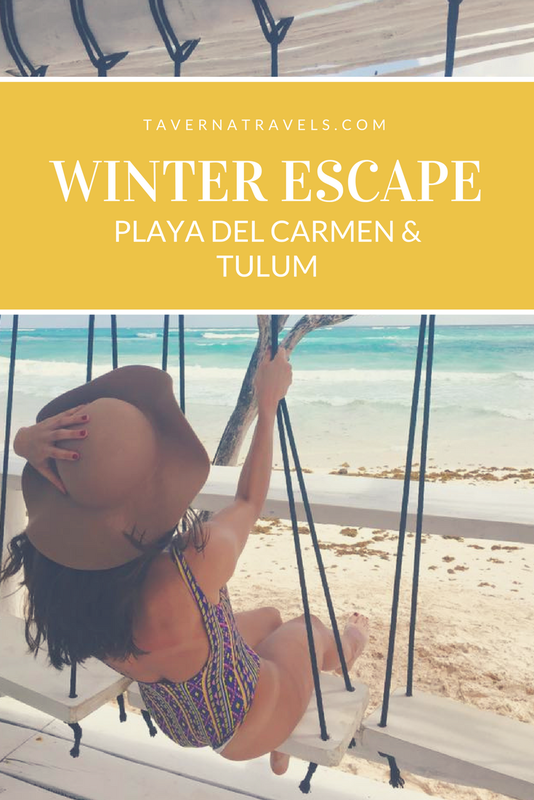 Read my full guide for visiting Tulum on a budget here or the 7 places that you need to eat at in Tulum here! 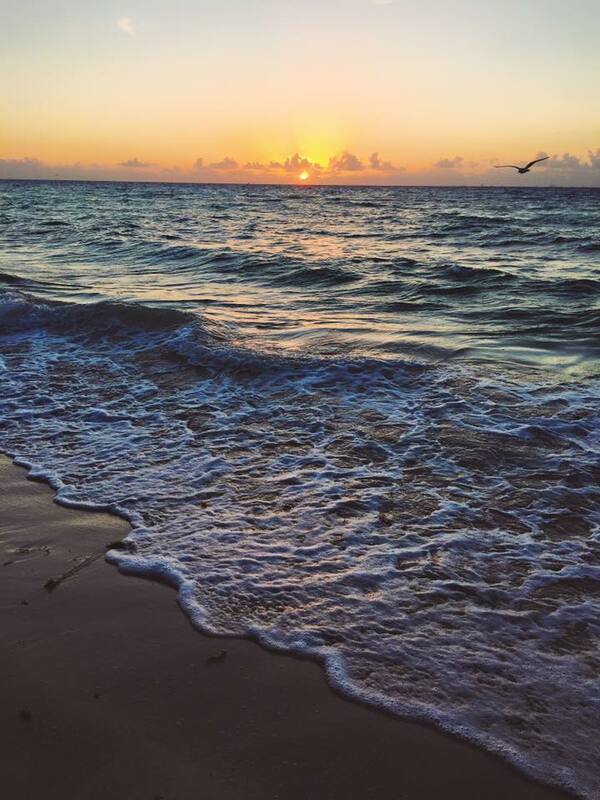 Located right off of 5th ave, this hotel is a perfect choice for town and beach access. At 120 USD/night this hotel, located only a few minutes from the beach, offers a rooftop pool and bar. The bar offers great happy hour specials for 2 USD cocktails. Looking to visit during the off season or last minute? Rates drop as low as 90 USD/night for a double room. Additionally this hotel offers breakfast which is a travel must for me! Due to a flight mix up we were forced to extend our vacation! As Soho Playa was booked up we found Lunata Hotel on HotelTonight for our last night. A beautifully decorated room, excellent location, and a lovely breakfast with fresh fruit – this hotel met all of our travel needs! If you’re looking to book last minute, HotelTonight is a great way to find discounted hotels! This beautiful spot is located about 45-60 minutes down the beach from the main Playa del Carmen beaches. Although it is a bit of a trek, you will be able to escape the hoards of tourists that swarm the beach. This beach club offers a beachfront pool, as well as chairs and umbrellas right on the beach. As long as your order food/drinks you can spend the entire day! I recommend the grilled fish tacos, which should set you back about 8 USD. I am usually all for eating local, but this Tulum spot stole my heart! I read review describing it as Anthropologie on the beach, and I couldn’t agree more. 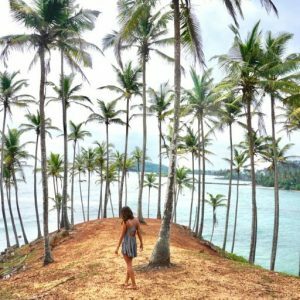 This adorable beachfront posada offers the most delicious fresh Italian food, fresh juices, and a list of wines and cocktails. Although most entrees will set you back about 24 USD, eating lunch here will give you full day access to their beach beds, swings, and chairs. They also have an adorable swimsuit boutique where I admittedly purchased a lovely cream colored one piece. This is one of those local spots that tourists still flock to, inherently making it more touristy. That being said, the tacos are delicious and easy on the wallet. They also serve up a nice frozen margarita, my forever guilty pleasure! 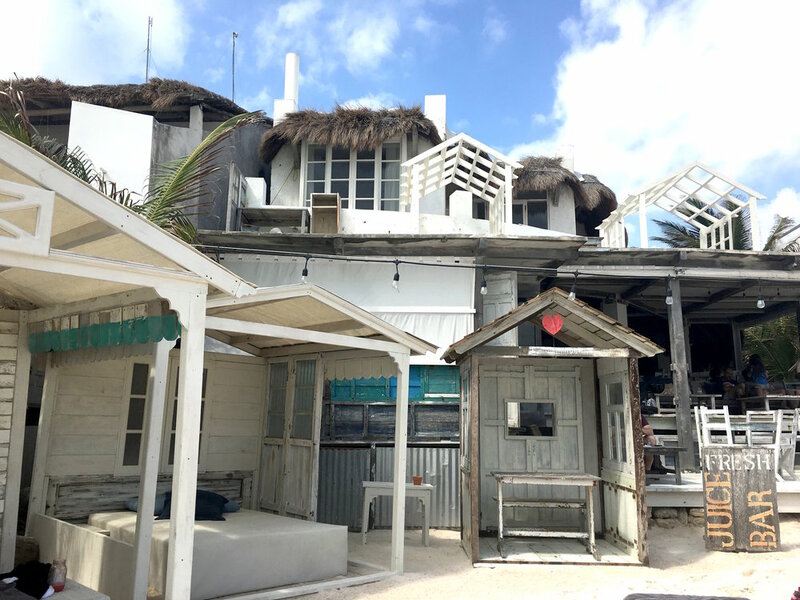 Located in Tulum, this is one of those hotels/restaurants that seems to have jumped right out of Instagram. All white with swings facing out to the ocean, this is the perfect place to enjoy your afternoon (or morning) margarita! Drink prices here are a little bit higher, at around 9 USD a cocktail, but it is more than worth it for the incredible atmosphere. Just down the beach from the main strip of Playa del Carmen beaches, this is the perfect spot to grab a beer and watch the sunset. 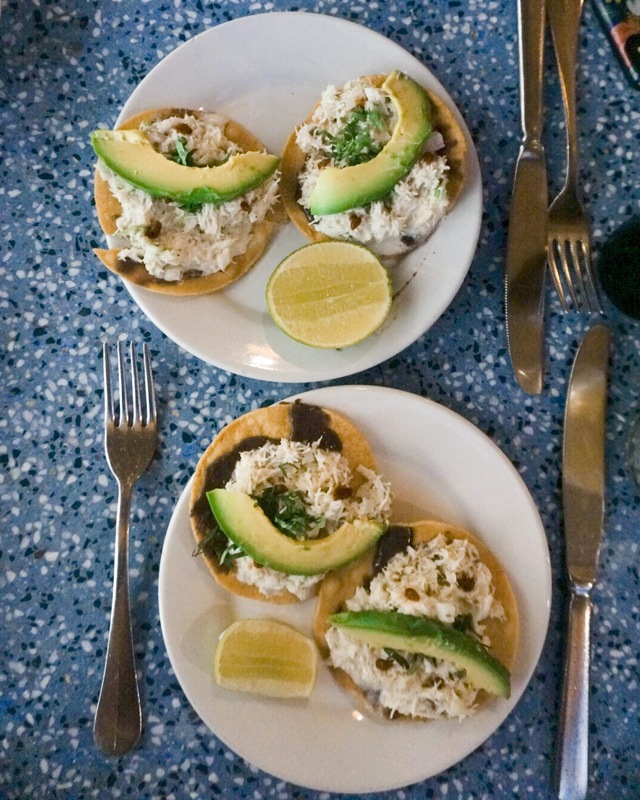 Even better, the ceviche tostadas are incredible, and will hold you over until Playa’s late night dinner scene. This is as local as it gets in Playa. Make sure to pay attention to the address because there is no sign to lead you up the steps to this local spot. 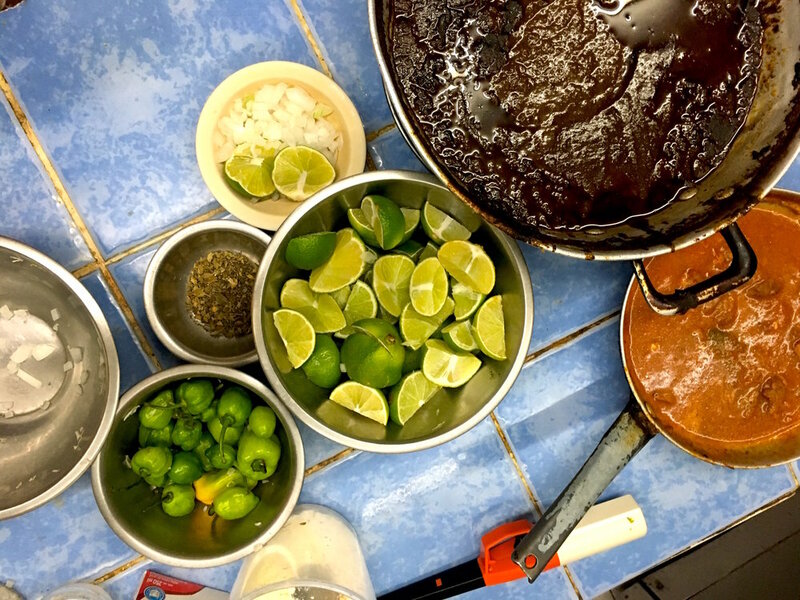 You will feel like you’re eating a home cooked meal with taco combo plates (including soup, rice, beans, and a drink) costing 2 USD. LIKE WHAT YOU READ? WHY NOT PIN IT FOR LATER? 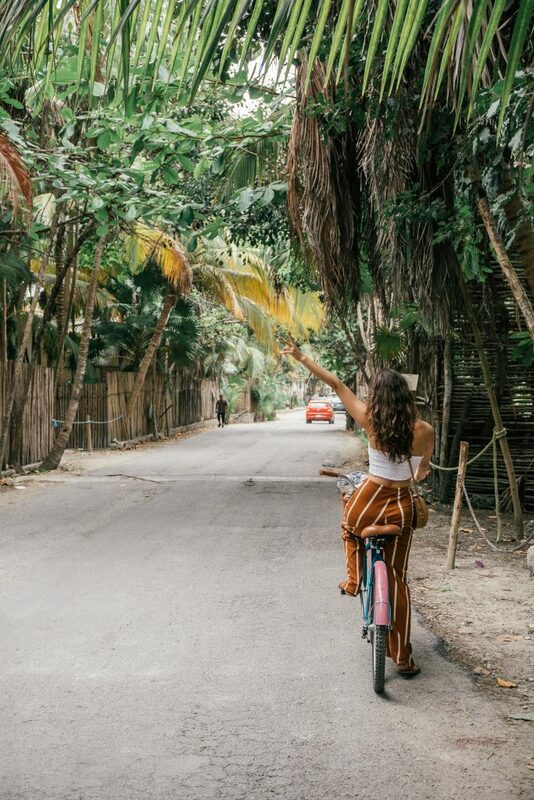 The Best Guide for Exploring Tulum on a Budget!